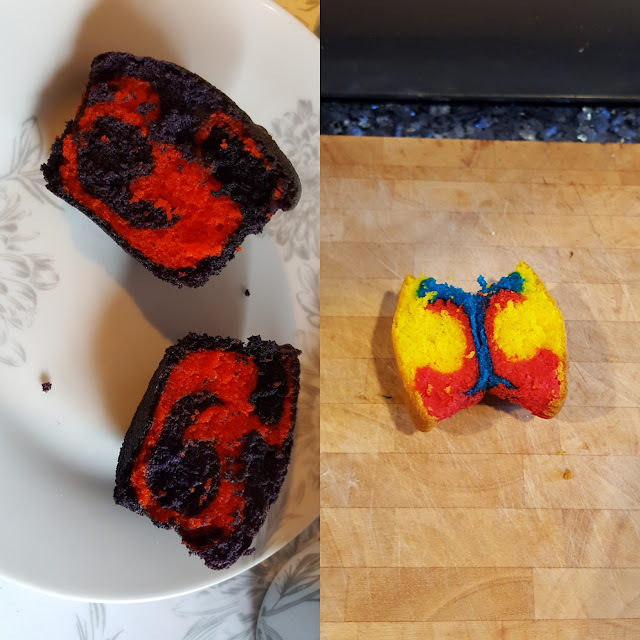 Last Tuesday me and a friend decided to go a bit baking crazy and in the spirit of the season these cakes had to be Halloween themed. Then we decided to have some fun with the cake mix and make them that bit unusual. 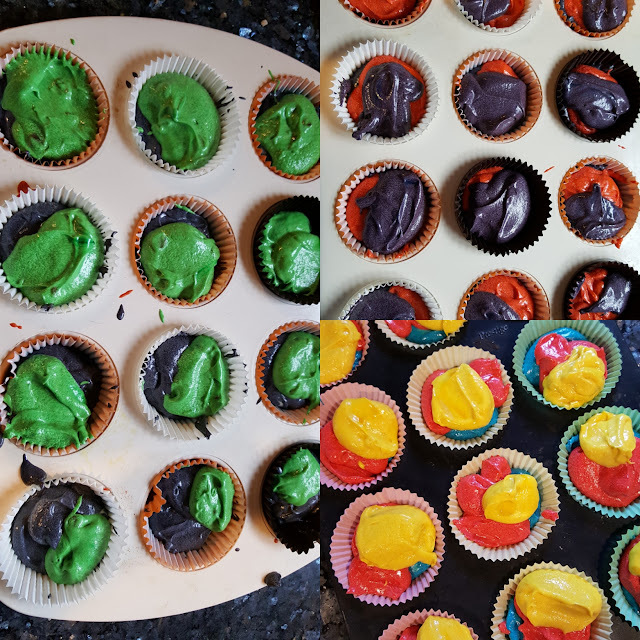 We had previously been to Hobbycraft aka baking heaven and bought loads of colourful icing and most intriguingly some of the Sugarflair colour pastes. This is what you use to dye your cake mix wacky colours and as you can see from the above and below photo it most definitely works! We only use a tiny amount and the colour pay off was amazing! Far superior to any food colouring I shall be investing in some of these myself! 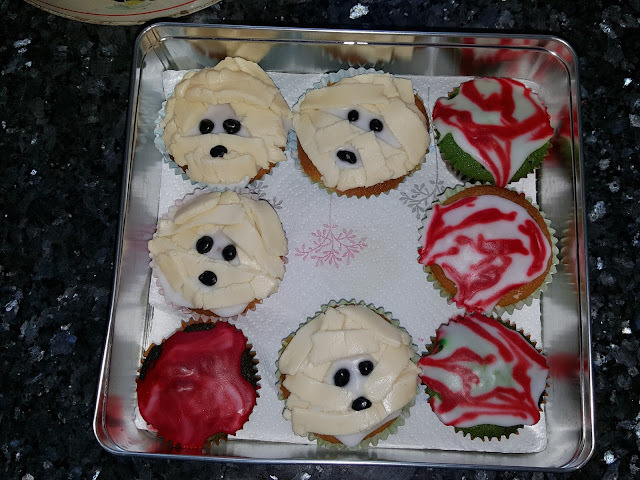 Once all cakes were baked and cooled we moved onto the decoration portion of the day. I had seen photos of mummy cakes online and wanted to attempt this with ready rolled icing. This is an easy form decoration you just cut the icing into strips and place them around the cake giving the illusion of bandages and add in some black icing dots to create the face. 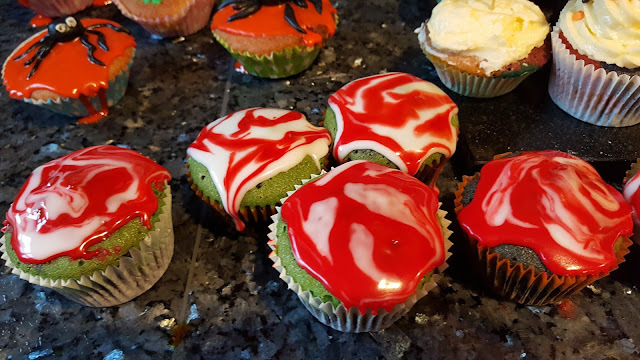 Then there are the blood splatter cakes which is just a mixture of normal icing with strips of red coloured icing drawn across it. Simple yet effective. 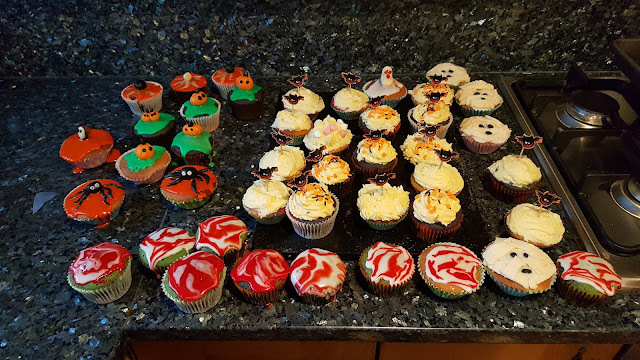 My friend made some fantastic spider and pumpkin cakes by styling together some icing in to shapes. Again very simple yet effective with Halloween themed colours for sure! 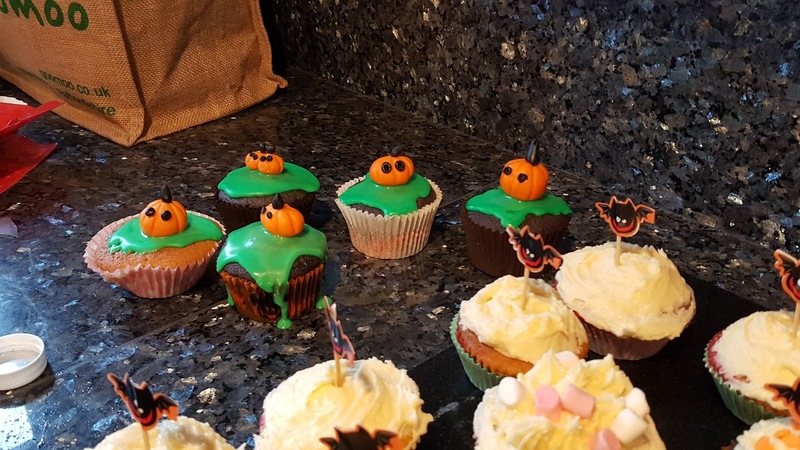 Overall we had a fantastic day cake baking and we truly let our inner Halloween freaks out! These cakes are all incredibly simple to recreate and will add a spooky yet tasty effect to any Halloween evening, be that a party or a night in watching scary movies.